Anyone who has ever read this blog or my pieces for Above the Law know that I fully support gaming in all forms. In particular, I routinely advocate for nationally legalized sports gambling through the repeal of the problematic and incoherent Professional and Amateur Sports Protection Act (“PASPA”). Absent Congress completely repealing PASPA, or a Supreme Court reversal via New Jersey’s Hail Mary, we are now left with a system in which Nevada solely enjoys the revenue generated by sports betting, Delaware can offer select parlays, and the rest of the states can ponder why we have such inconsistent gambling laws as they stare at empty coffers. Americans wager about $150 billion per year on sports betting, and only 3 percent of that is bet in Nevada. What this means is that the rest of the country is missing out on significant revenue that is instead going un-taxed to bookies and offshore websites thanks to a federal law enacted before internet wagering was so prevalent. This is where creative states like Colorado come in. Faced with a Congress that cannot agree on the color of the sky, states are desperate to cash in on the giant sports betting industry. In addition, many politicians rightfully look at Daily Fantasy Sports and wonder how that is legal, but traditional sports betting is outlawed. The answer, of course, is fairly nuanced, and frankly comes down to the fact that the NFL can make money off of DFS, while a casino’s vig bypasses it. Now, however, Colorado is about to try to sneak past PASPA through Daily Fantasy Pari-Mutuel wagering. According to the Denver Post, Mile High Racing & Entertainment has won approval from the Colorado Racing Commission to offer fantasy sports betting at its Aurora track and its nine off-track betting parlors across the state. This new fantasy sports plan — the first of its kind outside Nevada, where it was approved this year — merges traditional horse racing pari-mutuel betting, odds and terminology with professional football and basketball. Instead of assembling a fantasy team, gamblers pick athletes to win, place or show. They can pick groups of athletes for a daily double or trifecta — say, the top-five quarterbacks or receivers on any given Sunday, or the top scoring guards during a stretch of NBA games. Rather than betting on a horse to win, a gambler can bet that Tom Brady throws for more yards than any other quarterback on game day. Eventually, backers hope to expand fantasy betting beyond football and basketball into hockey, baseball, golf and NASCAR. This seems like a smart idea. 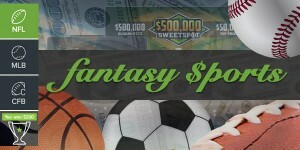 Federal law prohibits sports betting, but as of now, it allows Daily Fantasy Sports. Merge the two and the Feds likely won’t do anything. After all, it worked with Colorado’s marijuana legalization. The problem Colorado could face, however, is that unlike marijuana, the federal prohibition against sports betting granted rights to private sports leagues to step in with the same power as the U.S. Attorney General to shut the enterprise down. That’s right, our federal government handed equivalent authority from the Attorney General to the NFL, NHL, MLB, NBA, and NCAA under 28 U.S.C. Section 3703. The leagues would seemingly have no choice but to step in here, otherwise it would appear they were selectively enforcing PASPA against New Jersey only, which could hinder their argument to the Supreme Court (if it gets that far). I’m only an attorney, but it would seem to me that wagering on the performance of quarterbacks is wagering on “one or more performances of such athletes in such games” as prohibited by PASPA. The law cannot be any clearer that any direct or indirect wagering on the performances of professional or amateur athletes is illegal. Yet, Colorado wants to do just that. If the leagues do not stand up to fight this new scheme then more power to Colorado. If Congress stands idly by while gambling masquerading as daily fantasy takes place, then hopefully other states will join in on the action. PASPA needs to go and hopefully new betting options like the ones offered by Colorado will entice more states to push the boundaries of PASPA as the leagues cannot possibly afford to fight legal battles in 50 states all at once. This entry was posted in Articles and tagged DFS, PASPA, sports betting. Bookmark the permalink.